As the old adage says, “cash is king” when it comes to business. 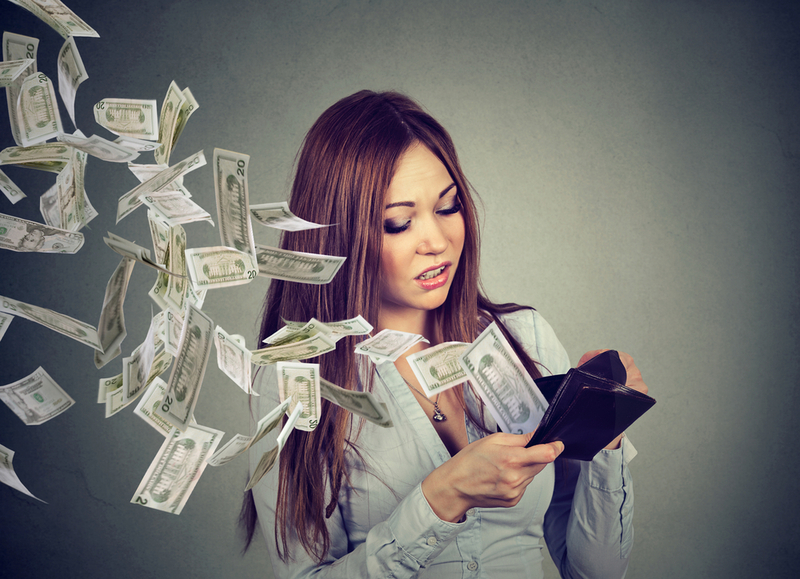 However, despite cash being one of the most critical components of a business’ success, many business owners don’t know how to properly handle their cash flow. In fact, some entrepreneurs are completely unfamiliar with how to read their cash flow statements. What is cash flow? Essentially, cash flow is the movement of funds in and out of your business. When the amount of cash coming into your business (sales, accounts receivable, etc.) is more than the cash leaving your business (accounts payable, salaries, monthly expenses, etc. ), you have positive cash flow. When your business is experiencing a greater outflow of cash than inflow, this is referred to as negative cash flow. For your business to grow and thrive, the inflow and outflow of cash must continuously be managed and analyzed. Even the most promising entrepreneur can quickly put their business or startup in a dangerous situation. A U.S. Bank study revealed that 82 percent of small business failures are due to poor cash flow management. To avoid derailing your business’ growth and success, consider the following ways you can avoid common cash flow mistakes. Unfortunately, regardless of how thoroughly you’ve planned, cash flow issues can and will arise. When these situations occur, it’s critical that your business has sufficient operational cash. Being prepared for bad times could mean the difference between business failure or successfully pulling through. Start by maintaining an account balance equivalent to at least two months of your business’ operating expenses. In doing so, you will protect your business from unexpected interruptions in cash flow. The goal is to safeguard both the short-term and the long-term financial health of your business venture. While the belief that it takes money to make money is not entirely false, it has led many an entrepreneur down a path of gross overspending, which is a very dangerous mistake, especially during the early days of a company. Every dollar that is being spent is chipping away at your business’ profit margin. To avoid this, focus on the cost-benefit of every business expense. When unexpected expenses or opportunities for impulse buying arise, revisit your business’ financial projections and budget. How will that expense or purchase affect your bottom line? Another huge cash flow mistake small businesses fall victim to is mismanaging past-due accounts receivables. Failing to be proactive about collecting payments can quickly have a devastating effect on your business’ cash flow. While no business owner wants to feel like they’re chasing their customers for money, the problem with taking a lenient approach is that you will quickly find yourself in a very dangerous cash flow situation. The best way to avoid this mistake is to implement clear payment policies, create a timeline for managing payments and set specific dates customers will be contacted for payment status. Diversification is a subject that many experts speak in favor of, yet small business owners have many unanswered questions about. For example, at what stage should a business owner diversify his or her business? Where should a business’ profits be invested? A small business owner may choose to launch an operation overseas, while others seek related products that compliment what they already sell or do for their customers. A business owner may even choose to purchase the company that offers the similar product/service; this allows the business to not only diversify its own lineup, but to also remove a competitor. While the aim of diversification is to avoid putting all the eggs in one basket, many business owners make the mistake of diversifying too early. To safeguard your small business’ future growth, the wisest decision may be to simply invest and focus on your business itself. According to Garrett Gunderson, business strategist and best-selling author, when it comes to diversification, cash is your best initial investment. “Build opportunity for your business by retaining the cash in your business as an opportunity war chest,” he says. The most effective way to avoid overspending, or an overall cash flow management disaster, is to create a cash flow budget. If you have already put realistic expectations in place for future sales, maintained credit control and carefully managed spending, you’re on the right track. But these measures alone are not enough to ensure long-term cash flow. To guarantee that your business is thriving, you will need to faithfully track your business’ day-to-day cash flow; this ensures your business is prepared for situations or periods where it will need cash on hand. A cash flow statement highlights certain key figures, such as: sales/revenue, cost of goods, development expenses, operating expenses and capital requirements. Any tax obligations and long-term debt or loans should also be included among costs. Once you determine total expenses and subtract them from total income, you will know what your cash flow is for that specific period (whether it is a surplus or deficit). Ultimately, the advantage of using a cash flow statement is that you can anticipate future cash flow by examining your business’ past performance. If your business is already feeling the negative effects of unattended past-due receivables or insufficient working capital, it might be time to seek help. Alternative financing options – like Security Business Capital’s invoice factoring services – provide small business with access to cash quickly and easily. Invoice factoring allows your business to leverage its unpaid invoices to generate cash on hand. The advantage of choosing this solution is that your business is given the cash it has already earned; thus, your business is provided with the flexibility it needs, without the added burden of debt. Through invoice factoring, Security Business Capital can use your unpaid accounts receivable to generate the cash you need quickly and easily - in as little as 24 hours. SBC has years of experience helping companies secure the funds they need to thrive and grow. Oil and gas services, temp staffing, manufacturing/distribution and transportation are just a few of the business types that can use invoice factoring to generate cash on hand. To learn more about Security Business Capital’s invoice factoring option or our other service options, simply contact Security Business Capital for a free quote and/or consultation.